Content marketing that makes you stand out in Spain! Website, newsletter or marketing campaign: attractive content converts! Our editors generate attention for your brand and engage with your customers. Social media, SEO or emails, strong content is key to the success! Spanish texts that will convince Google and your target audience. 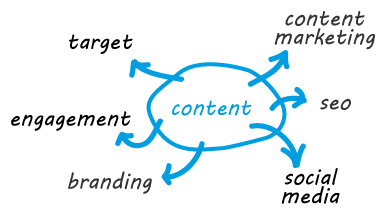 Creation and distribution of content related to your brand and product. Appealing content to attract and retain customers. Text with a clear function, an optimized conversion funnel. Contact us to learn more about our approach!